I never buy cosmetics off eBay, unless they’re from abroad like Korean Skincare and the like. And usually then it’s only testers. But the other week I decided to have a browse for the Jelly Pong Pong brand as everyone seemed to be raving about their Lip Frosting, which I believe was in one of the many beauty boxes in recent months. I don’t know why I was attracted to this brand, or even this product, but after a quick search I found a ‘job lot’ of Jelly Pong Pong products which had been listed as ‘new’….. And that’s when I placed a bid. I’ll start with the downside of the purchase and why I don’t tend to buy make up off eBay…. Some of the lot was not ‘new’ at all and had a few finger marks in it. Or was just generally a little, uhm, I don’t know. Not dirty, but you could tell someone else had ‘owned’ it. I wasn’t too fussed in general as I could wipe some stuff clean and the girl was very apologetic and nice about the whole thing, and it only cost me £10 for the entire lot. So I cut my losses and tried the products anyway, after a good bit of sanitation that is. I did notice the seller was new though so I sent her a polite word just saying that some buyers would probably leave negative feedback in future if she made the same mistake again. But let’s turn the page, start a new chapter and get down to what I thought about my new Jelly Pong Pong purchases. The first thing I opened was the Jelly Pong Pong Wide Awake Palette. This is another thing that I’d noticed doing the rounds on beauty box review posts. I really do love the packaging design for this, although it would have been nice if it was made out of something more sturdy than cardboard. The products inside themselves are OK. Nothing ground breaking, but I do like the little selection of eyebrow colours and the brush to apply with. It’s longer than usual brow set brushes and also softer so somehow makes the brows look a little more natural. The illuminating cream and highlighter are nothing to be blown away by either after a quick swatch. I did expect them to have a hint of shimmer to them, they seem to be very sheer though which isn’t what I expected. I’ve used them today as part of my usual make up routine and they do both appear to give a slightly dewy glow but the colours are so similar I don’t think it warrants having two in the set, as one would have done the job just as well. This was one of the ‘new’ products I received, which was nice. There were also tweezer included in the set. The products themselves contain some nice ingredients like Aloe Vera and mineral oils which is also a nice touch for make up products to appear to care about what they put in! I think the more I use this, the more it is growing on me, and definitely gives a nice subtle highlighting/dewy finish. Second thing I cracked open was the Jelly Pong Pong Cheek Tint. It was all a bit of a mess when I took the lid off though! I’m still unsure if this was ‘new’ or not but gave it a wipe regardless. I did think before I opened it that it would be a liquid/gel product but it’s kind of like a solid push pop! It is very messy though but I’m not sure if it’s because it’s been by something warm or what. After a few uses though I can categorically say, I LOVE this product. It’s not like anything else I own for blusher and has a really sweet smell but not sickly. It’s quite lovely. Like fruit punch?! I just dab it on after my foundation is done (which includes a powder foundation) and it’s creates a lovely fresh rosy tint, but without looking like I’ve been walking about in snow for a week. I think it’s going to be the perfect blush for winter months for that pinched cheek glow. It is sheer, but buildable. I have seen in TK Maxx a ‘Pop’ push up blusher and I think that is pretty much just this but a different brand. 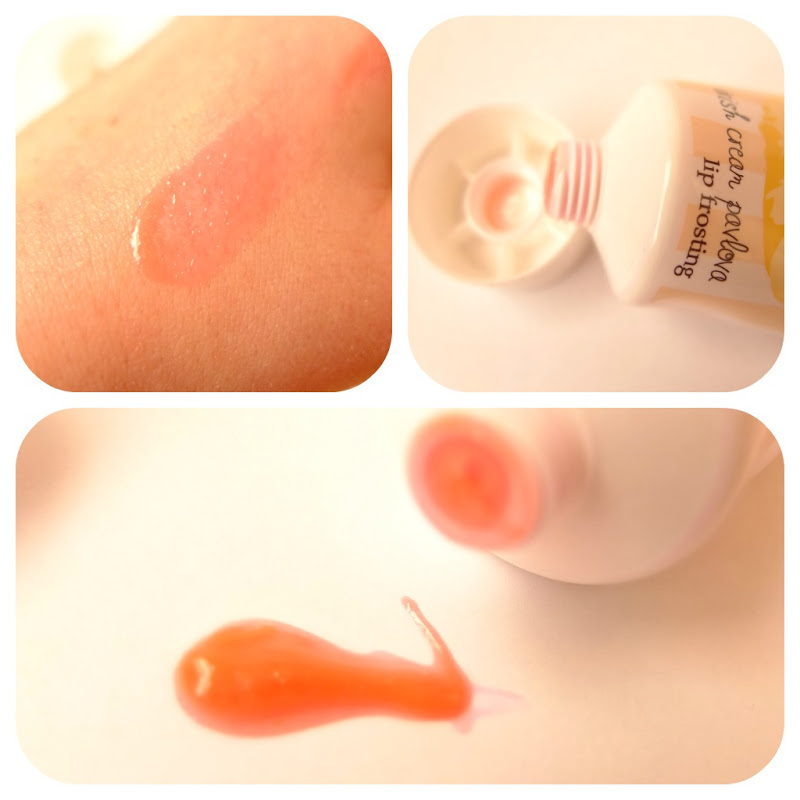 It’s pretty much everything you’d want from a gel or liquid cheek tint but without the waste. And then we have the ‘it’ product which attracted me to the set on eBay. 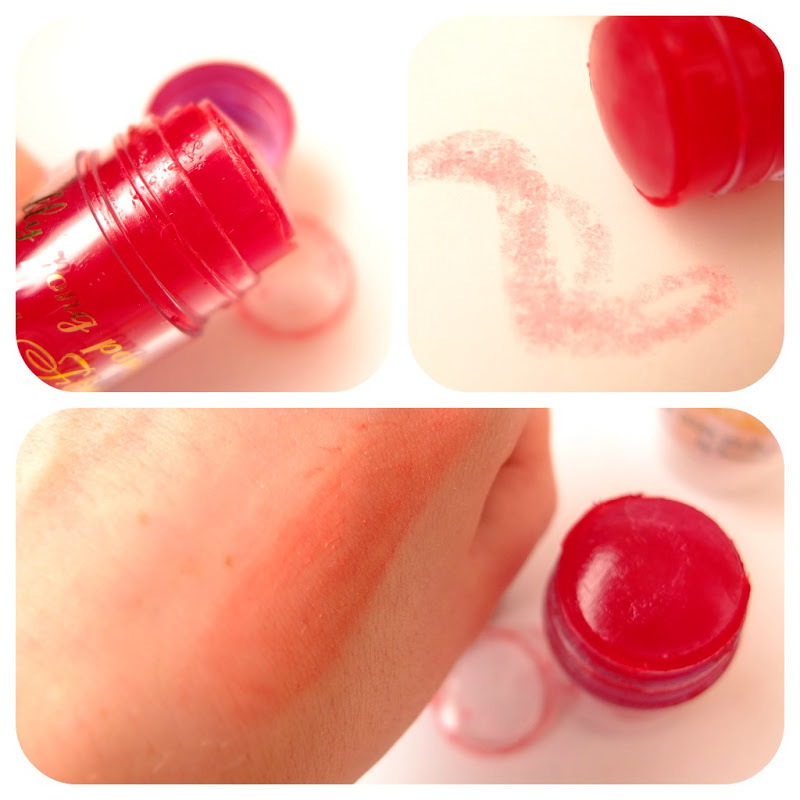 The Jelly Pong Pong Lip Frosting smells like actual cakes and sweets and is very pleasant. The flavour says it’s Irish Cream Pavlova, but I always thought anything that was ‘Irish Cream’ would mean it had some kind of Whiskey in it?! Maybe I just made that up though. Anyway, I think this was slightly disappointing to say the least. I’m not sure where the seller was storing these, or how old they are but for the first few squeezes all that came out was a scented clear goo. And the product seemed to have separated inside the tube. After squeezing a helluvalot out onto some paper though, I finally got the good goo which is the product itself. I was expecting the colour to be a lot pinker, but it’s more of an orangey coral with shimmer in it. The tube and applicator is also very awkward both in size and design. 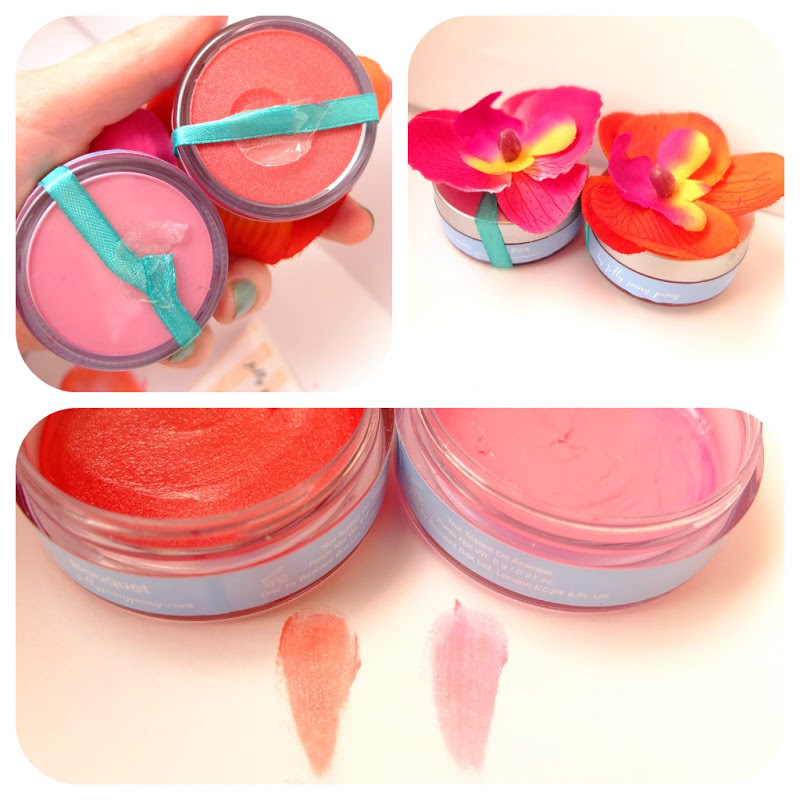 And finally, the last part of the haul were these two Jelly Pong Pong Orchid Lip Balms. I thought these would be great as a present for Christmas… Until I opened them. One had a big finger mark in and smelt rancid! The other I had to open to see if it was new, and it was and smelt sightly better, but now of course I can’t give them as gifts! The colours themselves are very nice, but I’ve yet to use them and only given them a quick swatch. Once I’d wiped away the finger marked top of the used one it smelt slightly better but still a bit horrible. But I do like the colour. The Orchid on top means they’re not very handbag friendly though so definitely just one for at home use. Overall, a bit of a mixed opinion both with the seller and the Jelly Pong Pong range. I did read somewhere that Jelly Pong Pong was being re-branded as something completely different, and on their website they do say no deliveries from September and don’t have the full product range on show. I can’t find much more information about this though! So if you know feel free to share below. I did see that the maker of Jelly Pong Pong worked on the Dainty Doll range with Nicola Roberts, and I’ve heard lots of good stuff about that. Jelly Pong Pong are against animal testing too so extra kudos for that, but does that justify the RRP of some of the products? I’m still unsure. What do you think?